Well some time ago friend Markus "Reaper" has requested to me some extra NavAids. Christmas are very near, so it is time for gifts. - Izmir VOR/DME (IMR) SW of Izmir city. 1) This update should be installed OVER the already installed Aegean v1.6 theater. 2) This update is critical for online MP flights! Be sure that EVERY pilot has apply it before flights! 3) This update does NOT affect any missions created via Aegean v1.6, and it is fully conformal with them! 4) With this update you have a new NavAids list pdf file as also both the optional "te_new.tac" files. Be advised: This update is dedicated to "1st Glory Wings". So please use it ONLY inside this squadron without sharing it outside! Thank you for respect this. I really hope to like this small update. THX for the Update. This is a Nice Gift. I will be Installing in the next Days and testing. thank you for that nice christmas present! We very much appreciate your work. 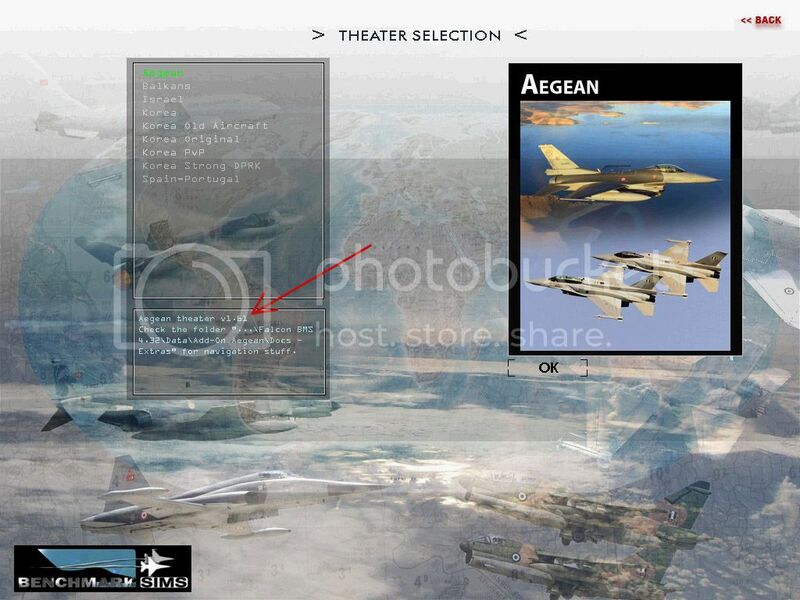 It helps us to have even more fun and realism flying in the aegean theater! bitte das Update noch nicht installieren. Nikos schreibt, die Änderungen sind multiplayer-kritisch. Das heißt, wir müssen alle gemeinsam umsteigen, sonst funktioniert es nicht. Freigabe erfolgt nach kurzer Testphase! Thank you guys for your kindly words. I hope to like this small but interesting update . If you need any help with this or find any issue, let me know. My pleasure to help you. Also in general if you ever need any extra infos or clarifications about my stuff, feel free to contact me. Always land the "bird" safe.